I’ve been enviously watching Phillip Trelford publish excellent F# games all week and tonight I just couldn’t stand it anymore. I stayed in, rolled up my sleeves and ported the very same ant colony simulation I used in my CUFP workshop to Silverlight 4.0. Wow, just look at those little guys go at it. 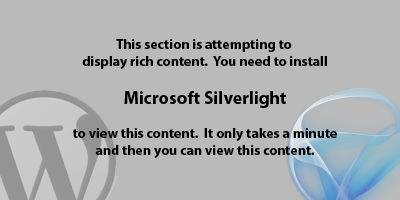 Silverlight sure is pretty! As you might have noticed by the big white “Click To Load Custom AI” message, you can also compile your own AI and battle it out with what I’ve included here. To make things easy I’ve provided a ready to go solution. Simply load it up, compile it and select the compiled DLL. Once you’ve loaded your AI the game will immediately start. Best of luck to you against my little monsters, so far they’ve been undefeated. If you happen to come up with an ant-dominating example I hope you’ll post it here in the comments. There were some really creative ideas in the CUFP workshop and I’d love to see what could be done with more than just four hours. If your interested in the gory details of the simulation itself, I’ve put up a github repository with the entirety of the code. And just in case you’re wondering, I’m still planning on running that contest. Expect a ton of cool new AI features and a big focus on combat. Update: I’ve mucked with a few things. Mainly, it will be a bit nicer when handling AI exceptions now. While I was at it I tweaked some of the game world parameters and so you’ll need to re-download the example solution if you already have it.